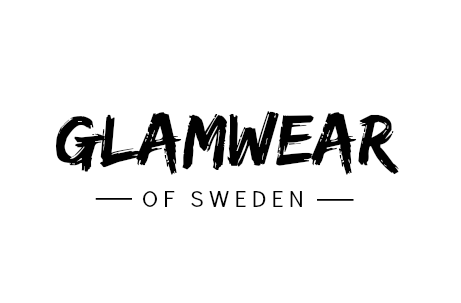 We are Glamwear Of Sweden, a company registered in Sweden since 2017. Our registered office and main trading office is in Stockholm, Sweden. We also have an office in Marbella, Spain. Our VAT number is SE970805178501. This page tells you the legal terms and conditions on which we sell any items on the site to you. Please note these Terms only apply to the purchase of Items on the Sites. Purchase of Glamwear items from any other source will be governed by the terms and conditions applicable at the relevant source. Please note that promotions and offers available for purchases on the site may not be available for purchases through other sources and vice versa. Please read these Terms carefully and make sure that you understand them before ordering any Items from the site. Please note that before placing an order you will be asked to agree to these Terms. By placing an order you confirm your acceptance of these Terms. We amend these Terms from time to time. Every time you wish to order Items, please check these Terms to ensure you understand the terms which will apply at that time. We reserve the right to amend these Terms from time to time. These Terms were most recently updated on 14 september 2017. Pay immediately after you have placed your order, with the payment method Swish. Payment information will be provided on the order confirmation. If no payment has been received within 24 hours, the order will automatically be cancelled. We accepted both VISA and MasterCard. Our partner for these transactions is Payson. A company that guarantees quick and secure payments. With Payson Faktura, you can choose to pay for your order later. You can also split the payment with Payson Faktura. The payment can be split into either 3, 6, 12 or 24 months. The delivery fee within Sweeden will never exceed 140 SEK. When order for more then 1000 SEK the delivery will be FREE. We don't deliver packages to P.O. Boxes. If you still choose to get your order delivered to a P.O. Box, a fee of 50-75 SEK. The delivery fee to Denmark, Norway and Finland is 199 SEK. The delivery fee within the Europe will never exceed 299 SEK. Delivery times varies depending on stock. You can see the current delivery time for your product under productinformation. Longer delivery times than stated can occur during periods, due to delays from suppliers, out of stock products or a lot of orders in high seasons. Customers under the age of 18 must have guardianship to place orders on our website. The prices on our products are listed in Swedish Crowns. As default the prices are shown including V.A.T. Delivery fees will be added to orders below 1000 SEK within Sweden. When you add an item to the cart, you will be able to see the calculated delivery cost. To shop on our website you need to fill out all the required fields at the customerregistration. If we don't have your e-mail adress, we can't send you an order confirmation and we can't inform you if we aren't able to deliver your product or if the delivery is delayed. The information you provide is ONLY used for handling orders, invoices, information and advertisement. The information is strictly personal and will NEVER be given to any third part. Your order will be sent as a package with Correos, DHL/Schenker, Postnord or another forwarder depending on size and weight of the package. If the products are being sent as a package, the delivery will get a tracking number, which will show where the package is being handled. The products that are in stock will be sent the same day, or the day after the order has been placed/paid. Products that are out of stock, will be sent as soon as we receive them - Usually we get deliveries for our stock within 3-4 weeks, and your product will then immediately be sent to you. The delivery time for these products will then be 2-5 weeks (Within Sweden). Longer delivery times than stated can occur during periods, due to delays from suppliers, out of stock products or a lot of orders in high seasons. As a customer you have the right to cancel your order before we send the order to you. If that is the case, please contact us on phone or email. If a package is unclaimed, we will add a fee of 249 SEK (including V.A.T.) to cover the expenses that may apply when a package is returned to us. If a product is damaged during transport, it's necessary to report the incident to the forwarder immediately. (Correos, Schenker or DHL). You also need to contact us for claim, since we have the responsibility that the deliveries arrive at your door undamaged. Every product you order, is our property until we've received full payment for the order. To create a claim on a wrong product or damaged goods, we ask you to contact us immediately. We will send you a new product of the same price, without any extra delivery fees, provided the product is still accessible. If we can't replace your order, we will refund your payment as soon as we receive the claimed package. When returning damaged goods, we will send you a waybill with delivery fee's paid. PLEASE NOTE THAT ALL SALE ITEMS(DISCOUNT CODES INCLUDED) ARE NOT ACCEPTED FOR RETURN. Swimwear bottoms or One-pieces will not be accepted due to hygiene concerns unless the item is faulty. Items must have all Glamwear tags attached. You must obtain proof of postage just in case your order is lost on its way back to Glamwear. If we do not receive your return and you do not have proof of postage then we will be unable to refund. We reserve the right to not refund you if you return items to us outside the terms of our Returns Policy. The company reserves the right to change any information on the website without any foregoing notice. In case of items being out of stock or items going out of assortment, we reserve the right to cancel the order and refund the amount that has been paid.